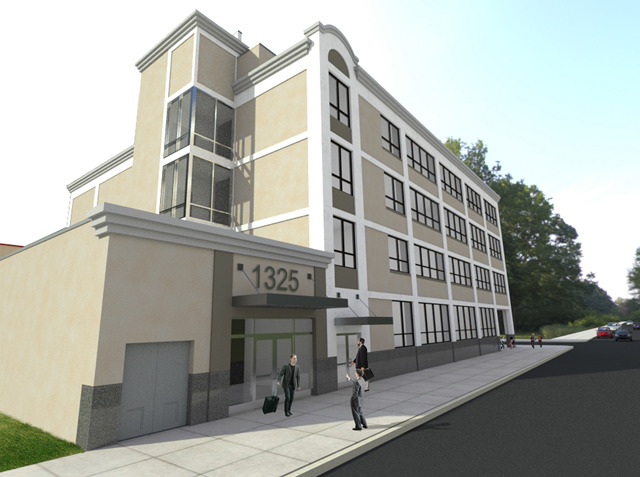 New Center Opening Fall 2015 — Spectrum Health Services, Inc.
Grays Ferry's only mid-rise commercial office building. Designed to house a host of social and medical services, this building is targeting tenants that will benefit the quality of life of the residents of the Grays Ferry community and Philadelphia. Join first class tenants such as Family Support Services and Spectrum Health. Ownership is providing turn-key fit out solutions to qualified tenants. The property is undergoing a large scale redevelopment that will include new façade, new elevators, expanded roof top access and updated mechanical and electrical services. Delivering the fist tenant spaces in June, 2015. Located in South Philadelphia, Grays Ferry is part of a resurgence of redevelopment with Philadelphia's largest institutions like UPenn and CHOP leading the way. This property is the only opportunity in the area to secure quality commercial office space. Located adjacent to a 3 acre park and with superior access to public transportation and area roadways, the James Alcorn Education and Wellness Center will be a high-traffic solution for office users and providers. Spectrum Health Services, Inc. will occupy the 3rd floor. Stay turn for more updates on the completion of this site.